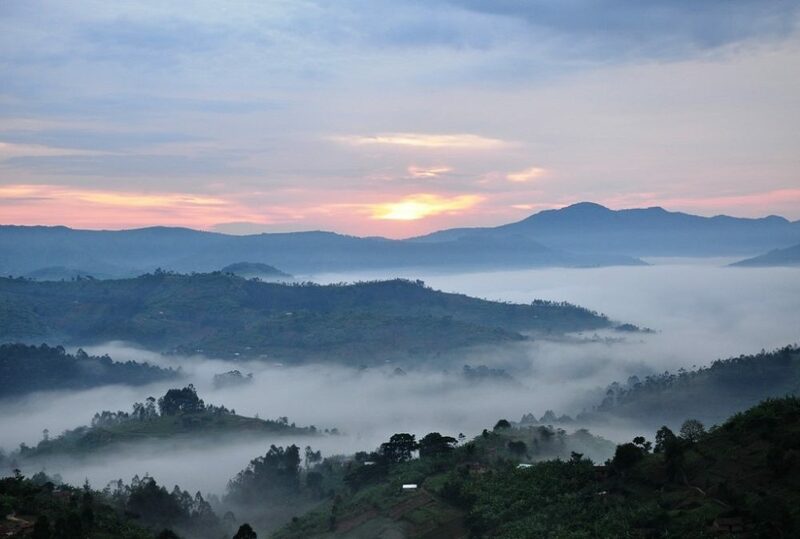 Rwanda, ‘the Land of a Thousand Hills’, is a place of great diversity and beauty. Spectacular volcanoes and dense tropical forests dominate the north, while gentle hills and valleys, calm lakes and turbulent rivers dominate the rest of the country. Rwanda boasts a wide variety of wildlife and is one of our favourite destinations. 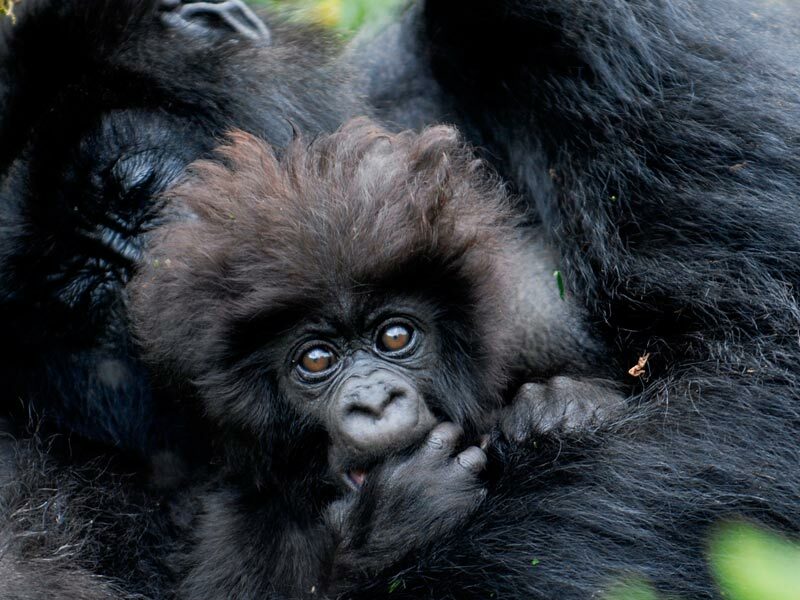 The Parc National des Volcans (PNV), in northern Rwanda is home to some of the world’s last remaining mountain gorillas. Rwanda provides an incredible experience and is a great combination with other safari destinations. It is now even possible to seamlessly combine a safari into Southern Africa with a gorilla experience since Rwanda Air Express now fly daily between Johannesburg and Kilgali. The gorillas can be viewed year round although the wet months of April, May and November are best avoided if possible. That said, being located on the equator and in the rainforest (they don’t call it that for nothing!) 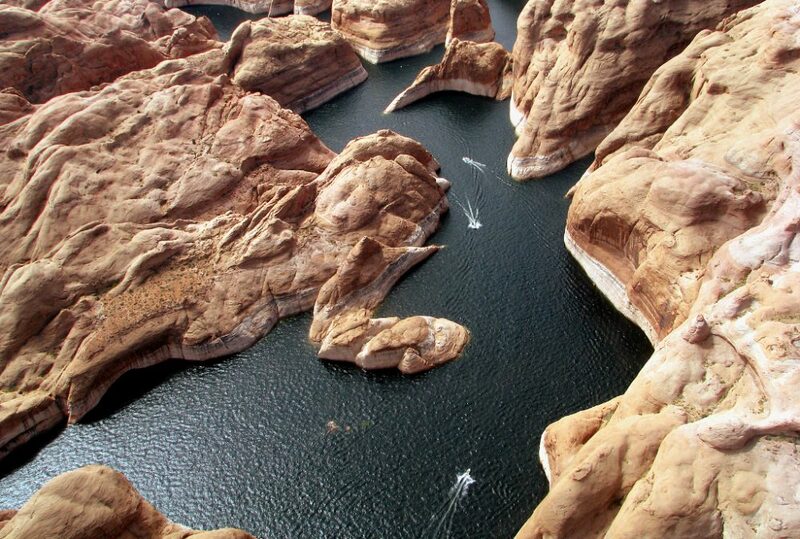 the weather can be unpredictable. 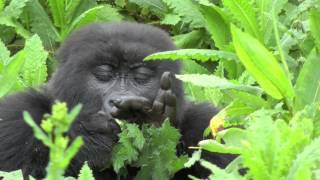 We generally suggest a minimum of a three night stay to enable two days of gorilla viewing. The first day is always overwhelming and a second day allows an immersion into the experience. It also allows us to mitigate against the weather and maximise the possibility of quality viewing. Many people ask about the chances of not seeing the gorillas. It is very rare not to see the gorillas since every gorilla family group has national parks observers with them throughout daylight hours and radio contact is kept with observers and approaching client groups. 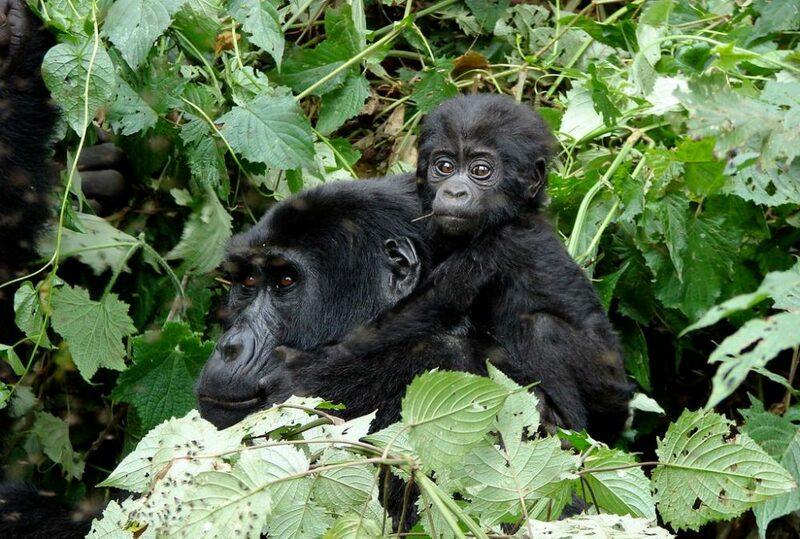 The gorilla trekking tends to be easier than in Uganda. Also Rwanda better caters for individual levels of fitness and can the experience can be tailored to the fitness of the clients. The gorillas live in a protected area, free from poachers, and can be viewed in their natural habitats at a fairly close range. 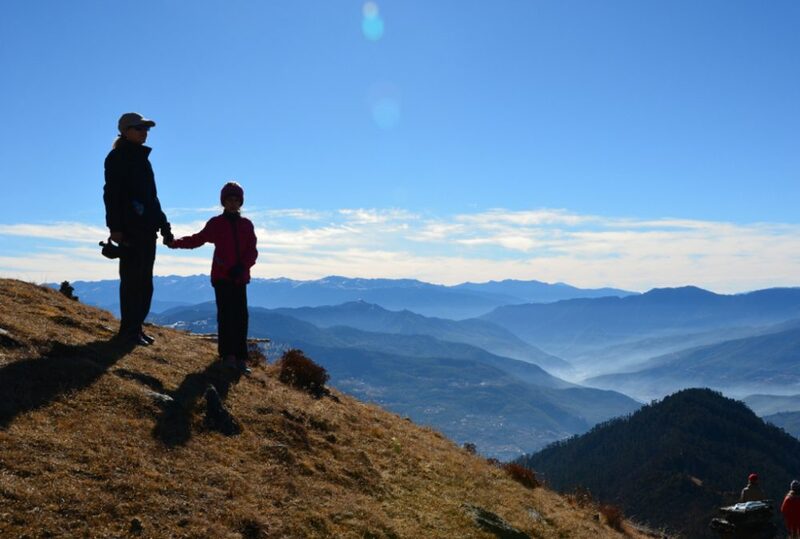 The exhilarating climb offers fantastic views in all directions. The trackers are immersed in the mysterious intimacy of the rainforest, alive with the calls of colourful birds and the chattering of rare golden monkey. Nothing can prepare you for the impact of encountering a fully-grown silverback gorilla, up to three times the size of an average man, yet remarkably peaceable and tolerant of human visitors. The lush forested slopes of the mountains form a dramatic natural setting for what is arguably one of the most poignant and memorable wildlife experiences in the world: gorilla tracking. Rwanda is a fascinating country and a modern day success story. It is now one of the most secure African nations. The Rwandese people are incredibly hospitable and will no doubt leave you with a deep respect for their resilience and culture. This safari is focussed on primates, notably the icons; chimps and mountain gorillas. It features amazingly intimate primate experiences along with incredible landscapes, wonderful cultural interaction and very comfortable lodgings. Given Rwanda and Uganda’s proximity to Tanzania and Kenya it is easy to add-on safari days should you wish. This safari is ideal as an add-on to a safari in Kenya, Tanzania or to southern Africa. Rwanda Air provides daily flights linking with southern Africa making access relatively painless. Rwanda offers a compelling story given its recent history and its amazing transformation. It is one of Africa’s stablest destinations. 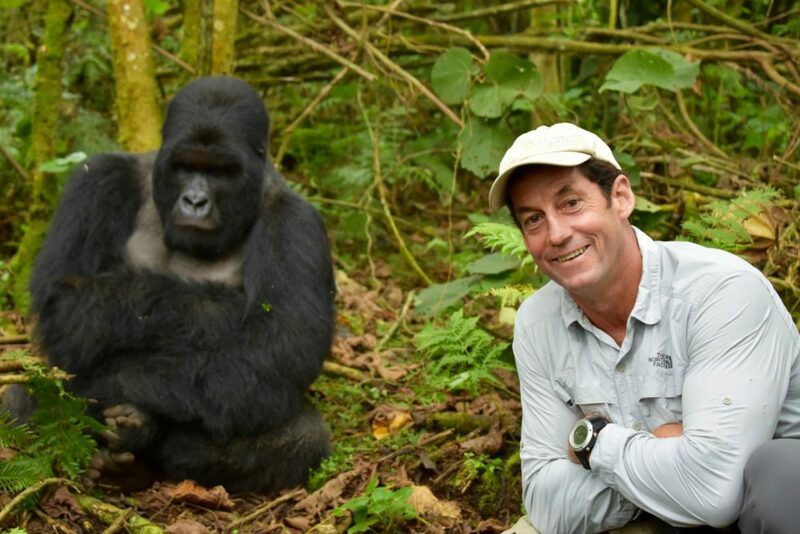 Rwanda offers the best gorilla experience on the continent and for many it is a life-changing event. This safari is focussed on primates, chimps in Tanzania and mountain gorillas in Rwanda. Mahale Mountain National Park in Tanzania and Volcanoes National Park in Rwanda, are home to some of Africa’s last surviving wild chimps and mountain gorillas. The trip features amazingly intimate primate experiences along with incredible landscapes, wonderful cultural interaction and very comfortable lodgings.